For his follow-up to the award-winning and critically acclaimed “KRISHA,” Texasbased writer-director Trey Edward Shults returns to the familiar subject of family — more specifically families confronting violent forces from inside and out. 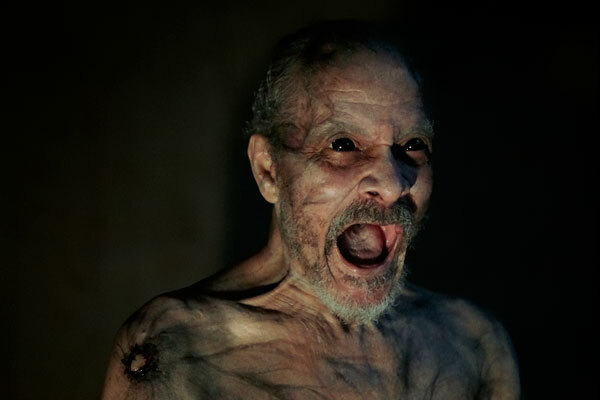 In the psychological horror thriller “IT COMES AT NIGHT,” an unnamed plague has disrupted daily life on an unimaginable scale. Confined to a rural home at the story’s outset, one extended family member puts to death an elderly member who is afflicted with the mysterious contagion. The family’s teenage son, Travis, is deeply traumatized by the mercy killing, though he tries his best to create order from this chaotic new reality. On a daily basis, he must also confront the looming presence of his well-meaning but overprotective father. A teenage boy (Kelvin Harrison, Jr.) as he grapples with mounting terrors — both external and internal — in the aftermath of an unnamed cataclysm. Secure within a desolate home with his vigilant, protective, and heavily armed parents (Joel Edgerton and Carmen Ejogo), 17-year-old Travis navigates fear, grief and paranoia amid scarce resources as a desperate young couple (Christopher Abbott and Riley Keough) seeks refuge in his family home with their young child. Despite the best intentions of both families, panic and mistrust boil over as the horrors of the outside world creep ever closer. But they are nothing compared to the horrors within, as Travis discovers that his father’s commitment to protecting the family may cost him his soul.